Have you recently received a “Save the Date” invite for a wedding or special anniversary get-together and would like to make a really wonderful keepsake gift?? Customizing a set of purchased pillowcases or simple tea towels with a beautiful crochet edging makes a lovely treasured present. It is important that you have a good foundation stitch as your starting point. 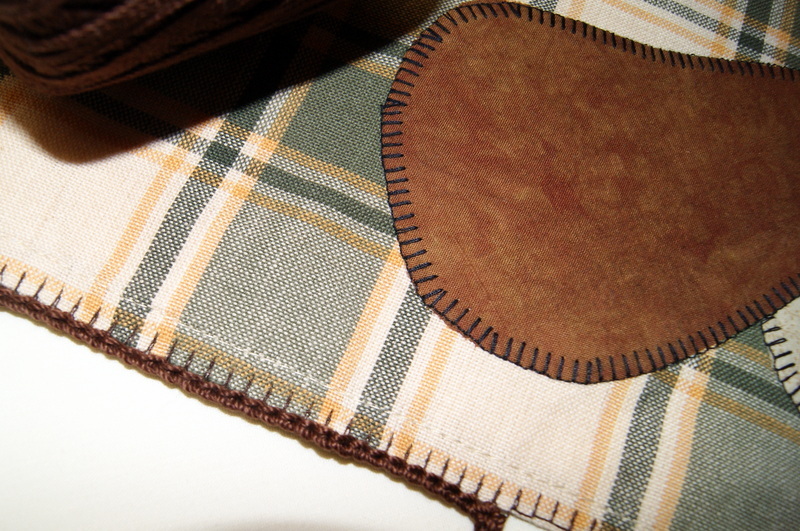 If your sewing machine has a buttonhole or blanket stitch built-in, this makes for a great beginning edge. 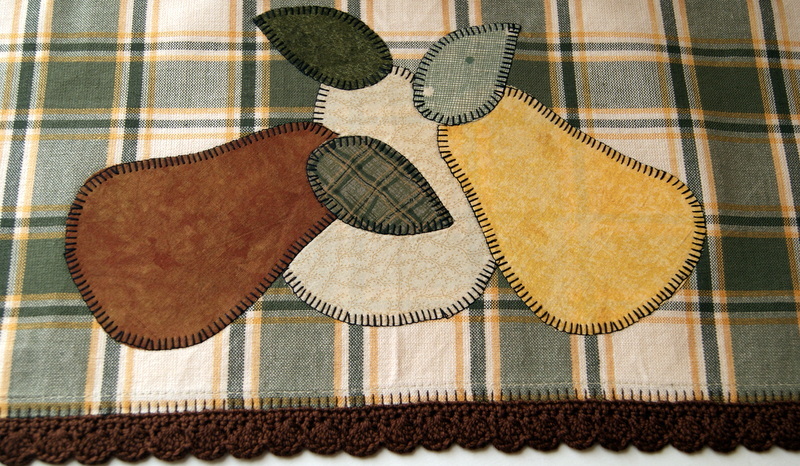 Just sew this stitch along the edge of your item to create your foundation stitches that you will then crochet through. 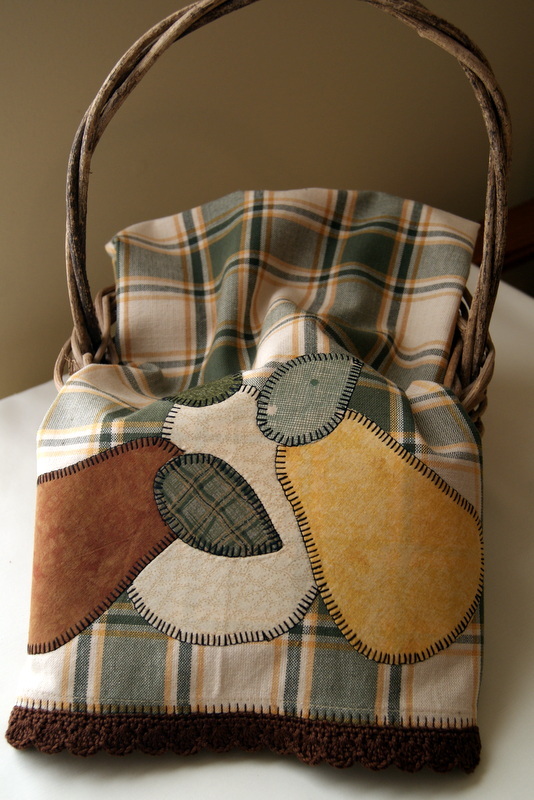 In my sample, I used a hand quilting thread by Coats & Clark with regular thread in bobbin to provide a good strong foundation. If your machine doesn’t have this type of built-in stitch, creating a buttonhole or blanket stitch by hand is a rather simple embroidery stitch to do for your foundation. OR you could embroider a chain stitch or stem stitch to use along the edge of your project to crochet through. Uh-oh, creative juices flowing here!! Once you have established your foundation stitches, now you can begin making your crochet design. You will find different edging designs that will call for an odd or even number of crochet stitches to create your pattern. Therefore, I like to crochet my first row with just single crochet stitches along my foundation so I can make the necessary increases (if needed) to insure I have the correct number of stitches necessary to work with to complete my pattern. Here’s a very nice, simplistic crochet edging pattern to do. This design requires you to have enough stitches for: multiple of 4 + 1. Your first row: Ch 1, 1 Sc in each stitch, turn. Row 2: Ch 1, skip first Sc, then 1 Sc in each stitch across to end, turn. Row 3: Ch 1, skip first 2 Sc, 5 Dc in next Sc, skip 1 Sc, 1 Sc in next Sc, *skip 1 Sc, 5 Dc in next Sc, skip 1 Sc, 1 Sc in next Sc, repeat from * to end and fasten off. TIP: Always have your work with the right side of the fabric facing you and use a heavy duty sewing machine thread, DMC floss, or your actual crochet thread for your foundation stitches. Try to closely match your crochet thread that you will be using for your design.